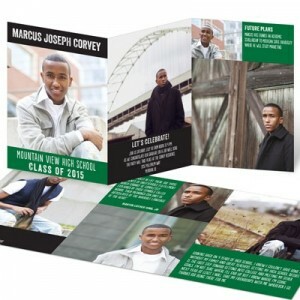 Lots of photos, whether an Instagram-style grid or scattered snapshots, mark these graduation announcements for boys. 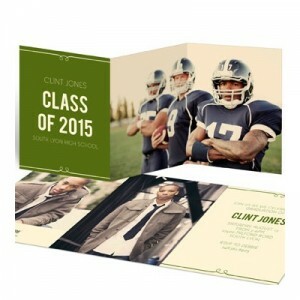 The colors and backgrounds also have a masculine appeal. 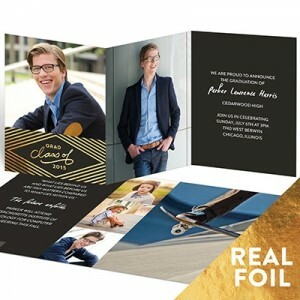 The foil stamped design on our Gold Foil Diamonds Trifold graduation announcements and the iconic laurel branches featured on our Rest On Your Laurels graduation announcements give these cards a formal look. 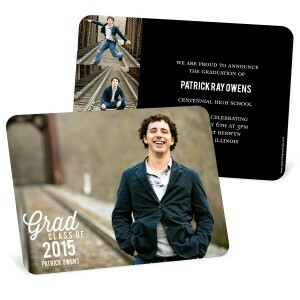 We like these options for grads who want to share more than just photos. 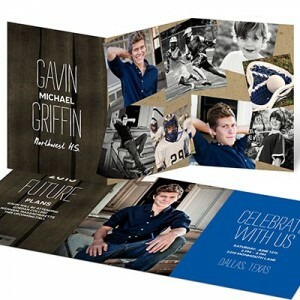 These graduation announcement let you share memories and future plans as well as your party details. 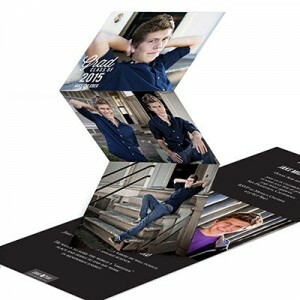 These options are perfect for your outgoing boy who likes to stand out. 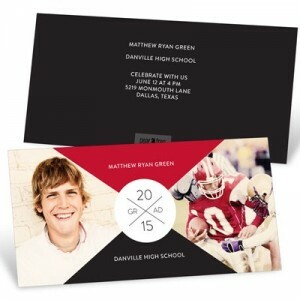 Bold fonts and color options let boys be boys. 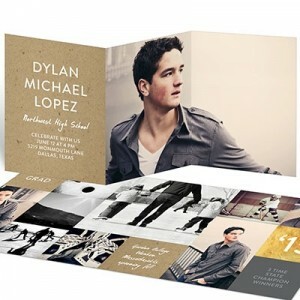 Is your son a one-of-a-kind original? 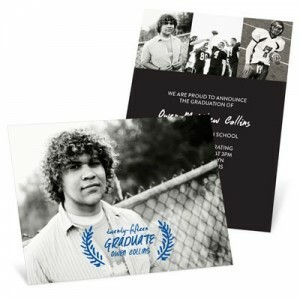 These graduation announcements for boys let him show his unique perspective. 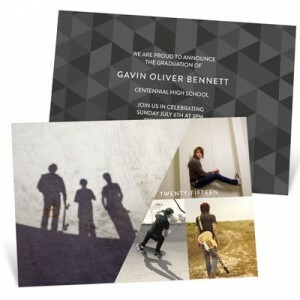 Shop for these and hundreds more graduation announcements for boys at Pear Tree. 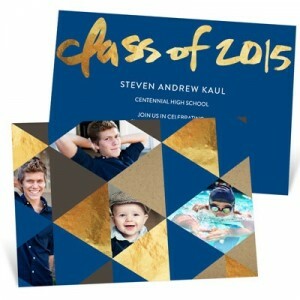 And read our blog for graduation party ideas and decorating ideas to make your party stand out, too!